The Americans wanted to learn from the European offshore wind industry. At least until they would be able to develop their own industry. However, offshore giant Ørsted could now undermine such plans, as the Danes are working on a developer monopoly in the U.S. offshore sector. So far, the record of the U.S. offshore wind sector has been a meagre one: Just one single wind farm with a capacity of 30 megawatts supplies electricity from American waters. There are some plans for further wind farms, though, with the know-how continuing to come from Europe primarily. As the Danish world market leader in offshore development Ørsted (formerly DONG Energy) has now announced, they are taking over the American offshore project developer Deepwater Wind for $510 million. The result is an offshore platform with the widest geographical coverage and the largest pipeline of further development capacity in the US. 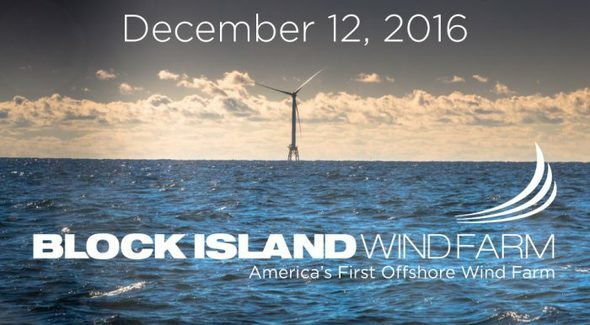 After the Block Island wind farm was completed in 2016, Deepwater Wind has built up a large portfolio of follow-up projects on the U.S. east coast with a total potential of approx. 3.3 gigawatts in recent years. 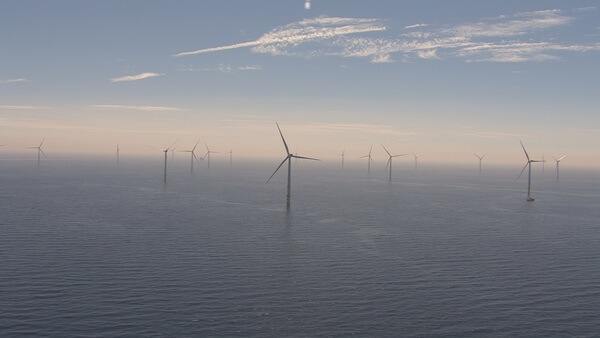 These include three projects in Rhode Island, Connecticut, Maryland and New York with a total capacity of 810 MW and around 2.5 GW of offshore wind development potential in three areas in Massachusetts and Delaware leased from the Bureau of Ocean Energy Management (BOEM). Of these 2.5 GW, 1.2 GW will be developed in an equal joint venture with PSEG, a leading New Jersey utility. Martin Neubert, CEO Offshore Wind at Ørsted, is delighted with the acquisition: "With this transaction we’re creating the number one offshore wind platform in North America, merging the best of two worlds: Deepwater Wind’s longstanding expertise in originating, developing and permitting offshore wind projects in the US, and Ørsted’s unparalleled track-record in engineering, constructing, and operating large-scale offshore wind farms. Today’s announcement consolidates Ørsted’s position as the global market leader in offshore wind with a strong foothold across Europe, North America and Asia-Pacific." Deepwater Wind CEO Jeff Gybowski twittered excitedly: "The next chapter begins! Ørsted has been quick to see the potential of the U.S. market and has been working for some time on a strong market presence. So far, this has mostly been done in collaboration with American development companies, such as Eversource for the up to 2 GW Bay State Wind site off the coast of Massachusetts or Dominion Energy for Phase I of the Coastal Virginia Offshore Wind Project. In addition, there is the Ocean Wind site off the coast of New Jersey with a capacity of up to 3.5 GW at an early stage of development. Ørsted also made a name for itself in the onshore sector recently when the company acquired American onshore developer Lincoln Clean Energy. LCE has projects with a total capacity of approximately 2.3 gigawatts. Ørsted has already been active in the U.S. in the areas of battery storage and solar development and last year established an office in Austin, Texas, to strengthen these efforts. In addition to the US, the company is currently working intensively on the trend market of Taiwan, where a complete offshore industry is to be developed.